Hi, I’m not John King. Anyway, for my holiday season blog post, I decided to do something for which some of you will think I’m nuts: the Christmas story. You may be thinking, “It’s not even Thanksgiving yet!” Well, true; however, keep in mind that my family bought our Christmas trees November 23rd. And even if you do think I’m nuts, and in some ways I am, this isn’t one of them, and I’m a Christian, so I don’t care anyway. So let’s get started! What I did here is that I combined the different books to get what I consider about the best possible Christmas story. So if something looks odd, that’s why. So that’s the birth of Jesus Christ, the Savior of the world. And what’s even better is that it’s all true! Have a great holiday season, and thank God you’ve made it through another year! Keep the pointy end forward, the dirty side down, and by all means, please… stay out of the trees! Weather is one of the most important parts of flight planning. At first, it doesn’t make a whole lot of sense why pilots would care about things like the temperature, dew point, cloud ceiling, etc. Let’s start off with temperature. The outside temperature doesn’t affect the aircraft as much as you would think. However, ice, frost, and density altitude do play a very important part in how an aircraft performs. As you can probably guess, it is not smart to fly with snow, ice, or frost on the aircraft, as the wings won’t produce as much lift, and many instruments just won’t work accurately. Also, a dead engine over the Alaskan Bush or Lake Superior usually doesn’t make for a happy flight (such as a Civil Air Patrol or Coast Guard search). Summer usually has fairer weather, but summer storms can make for very, very bumpy rides. And about density altitude: This name makes little sense, for the higher the density altitude, the less dense the air is. This could better be explained as performance altitude. (As I’m not yet a private pilot, I don’t know a ton on that, but I’m sure that John and Martha King would be happy to sell you a private pilot course.) Now, let’s get to ATIS and AWOS. Now, let’s look at what this report for Montgomery Field in San Diego means. Montgomery airport information Hotel, 2159 Zulu. Wind: 238 at 8. Visibility: greater than 20 miles. Sky condition: few clouds at 5,800. Temperature: 18. Dew point: 10. Altimeter 2990. Visual runway 28R and Visual runway 28L in use. Landing and departing runway 28R and runway 28L. VFR aircraft say direction of flight. All aircraft read back hold short instruction. Advise controller on initial contact you have Hotel. Montgomery airport information Hotel, 1: 59 PM Pacific Standard Time. Wind: coming from 238 degrees at 8 miles per hour. Sky condition: few clouds at 5,800 feet. Temperature: 18 degrees Celsius. Dew point: 10 degrees Celsius. Set your altimeter to 29.90 inches of barometric pressure so it will tell you your correct altitude. IFR is using the Visual approach to runway 28 right and runway 28 left. 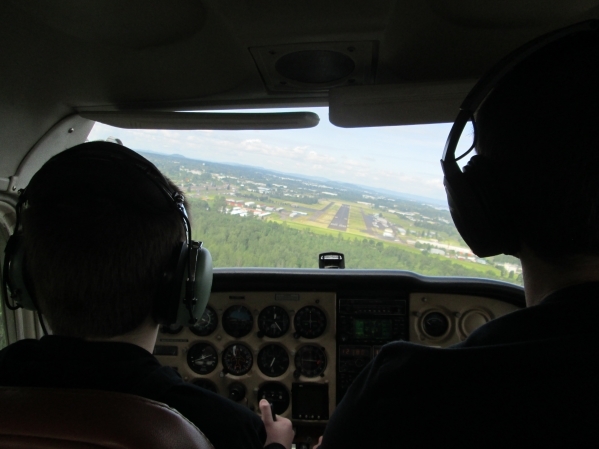 VFR aircraft tell the controller your position, altitude, and intentions. All aircraft acknowledge the hold short of runway instruction. Tell the controller on your first transmission that you have Information Hotel. For the fun of it, let’s look at this rather unlikely ATIS report for Ronald Reagan/ Washington National airport in DC. Washington airport Information Charlie, 1256 Zulu. Wind: 012 at 23 gusts at 28. Visibility: 3 miles in snow. Sky condition: ceiling 300 overcast. Temperature: -8. Dew point: -9. Altimeter 2950. ILS runway 1 in use. Landing and departing runway 1. All aircraft read back hold short instructions. Advise controller on initial contact you have Charlie. Washington airport Information Charlie, 7:59 AM Eastern Standard Time. Wind: coming from 12 degrees at 23 miles per hour with gusts up to 28 miles per hour. Sky condition: ceiling 300 feet overcast. Temperature: -8 degrees Celsius. Dew point: -9 degrees Celsius. Altimeters should be set to 29.50 inches of barometric pressure. IFR is using the ILS approach to runway 1. Landing and departing runway 1. The airport is currently below VFR minimums. All aircraft read back the instruction to hold short of the runway. Tell the controller on your first radio transmission that you have Charlie. As you can see, there’s a lot to it, but that’s important. However, you get the hang of it pretty quickly. For an AWOS (Automated Weather Observing System) report, you’ll hear a computer voice give you the report. Here’s one for Sedona, Arizona. Kilo Sierra Echo Zulu Automated Weather Observation, 1359 Zulu. Wind: calm. Visibility: greater than 20 miles. Sky condition: Clear… Temperature: 20 Celsius. Dew point: 8 Celsius. Altimeter: 2992. Now that’s about the best weather that you could hope for. As you can see, the AWOS is pretty self-explanatory. I hope that you’ve enjoyed reading this! Keep the pointy side forward, the dirty side down, and by all means, please… stay out of the trees! In this edition of the Plane Splash, we will look at the greatest general aviation aircraft ever made: the Cessna 172 Skyhawk. Also, we will see what other Cessna models look like. 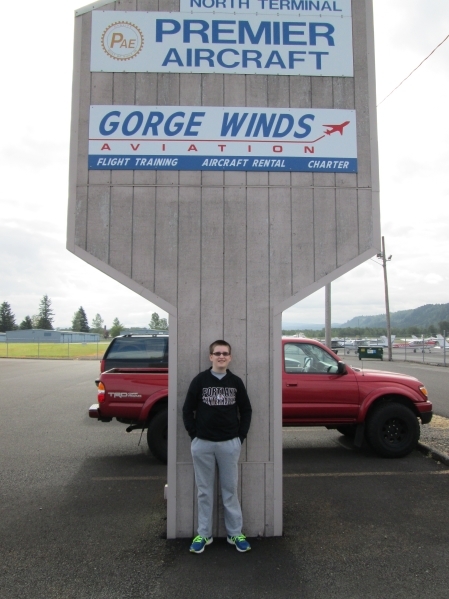 Me in front of the Gorge Winds Aviation sign. 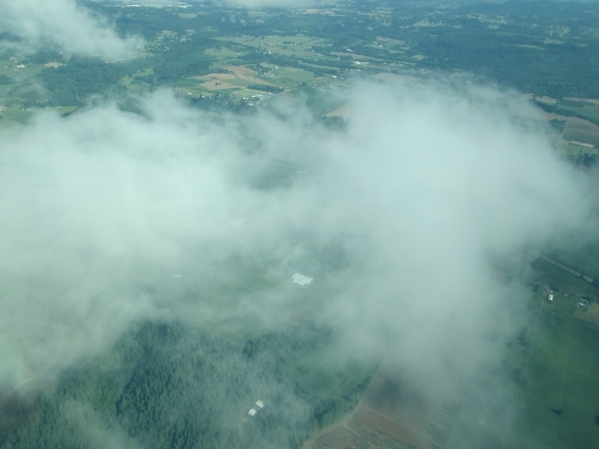 On a recent Tuesday morning, I flew on an Introductory Flight through Gorge Winds Aviation. For those of you who don’t live in the Portland area, what I’m going to say will make no sense at all, but hopefully it will for the rest of you. 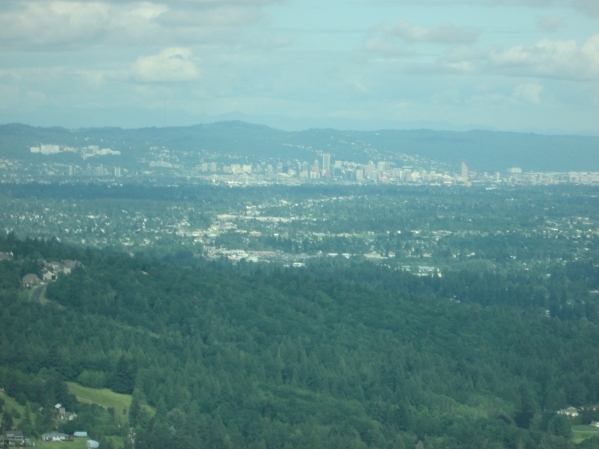 🙂 We taxied out from the general aviation parking area using taxiway A (Alpha in air traffic control language), and took off from the Portland-Troutdale (KTTD) airport, climbed to a few thousand feet, and headed south. 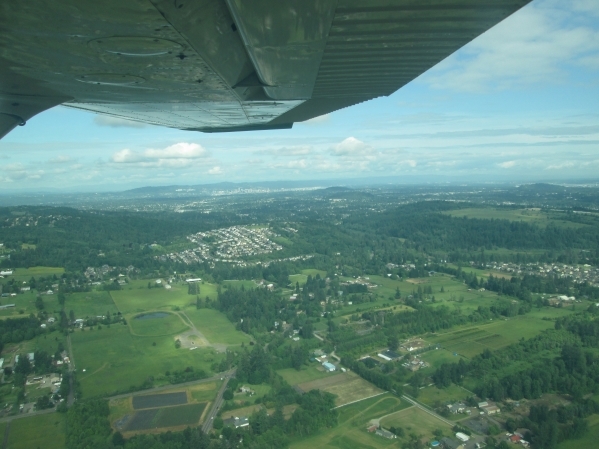 We flew around Happy Valley and then even farther south to the Mulino area, and followed the Sandy River back up north. We did a stop and go landing, a touch and go landing, and then a full stop landing. I will put in some pictures of the flight. The Cessna Skyhawk is a four-seater tricycle-undercarriage general aviation aircraft aimed for the private pilot industry. Cessna definitely accomplished that! In nearly 60 years since its first flight, Cessna has sold over 40,000 of these aircraft. That’s a lot! Cessna has also let Reims Aviation in France build these under license as the Reims Rocket. Specifications are as follows: Crew:1 or 2; Powerplant: one 108kW (145hp) Continental 0-300-C flat-six engine; performance: max speed: 224km/h (139mph), range: 1030km (640 miles), service ceiling 3995m (13,100ft. ); dimensions: wingspan: 10.86m (35ft. 7.5in. ), length: 8.20m (26ft. 11 in. ), height: 2.68m (8ft. 9in. ); weight: 1043kg (2300lb.) maximum take-off weight; payload: four people. The Cessna Skyhawk has truly proved itself to be an excellent aircraft. Now, let’s look at some other notable Cessna makes. The Cessna L-19 was a notable observation aircraft, used mostly in the Korean War. The “Bird Dog” was used for finding worthwhile targets even a few hundred miles into enemy territory, but enemy fire forced missions to go only a few miles beyond the front lines. Cessna made another very successful aircraft in the Cessna Model 310. It was a small, twin-engined aircraft with a five or six person payload. Although it sold worldwide, few are seen today. These airplanes had the distinctive wingtip fuel tanks. So if you ever see a small twin-engined plane with oval-shaped things (fuel tanks) on the end of the wingtips, this is probably a Cessna 310. You wouldn’t think of Cessna as a very likely candidate for military services, would you? Well, they were. The T-37 trainer and A-37 Dragonfly was the USAF’s first purpose-built jet trainer, and was good at the light attack role in the A-37. Armament is as follows: one 7.62mm (0.30in.) GAU-2 Minigun six-barrel machine gun, and eight underwing hardpoints for 2268kg(5000lb.) of stores. The Cessna 150 and 152 was the most popular two-seater light aircraft of their day, although they did have some downsides. 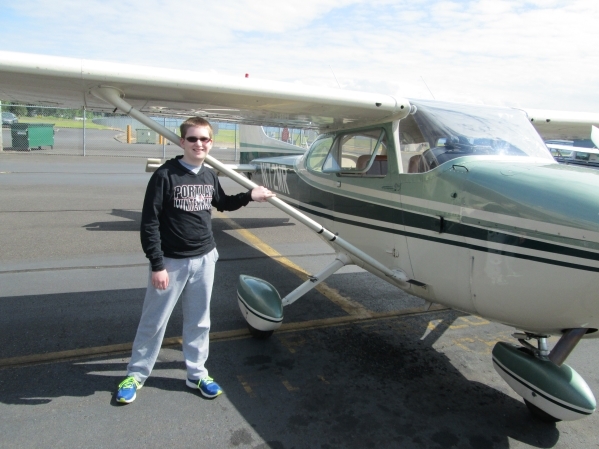 They were a little too small for some people’s comfort, so those who are like that typically prefer the Cessna 172. Total production exceeds 28,500. Cessna made another of the most unusual aircraft ever: the Cessna 336 Skymaster. They had an engine in front and in back, with a twin-boom tail. They also were popular with the military during the Vietnam War, and produced about 3000 aircraft. Cessna also produced the Cessna 421 Golden Eagle. This plane was aimed for the small business/executive industry. It was a twin-engined, passenger/freight aeroplane designed after the success of the Cessna 310. And lastly, the Cessna Citation. This jet has a similar look to the earlier Cessnas, but obviously has two jets at the back instead of a propeller at the front. The Citation V or Cessna 560 has a stretched cabin, and is the last of Cessna’s straight-winged aircraft. Other Cessna makes include the Cessna At-17, Cessna Model 120 and 140, Cessna 170, Cessna 195, Cessna 180 and 185, Cessna 320, Cessna CH-1 helicopter, Cessna 175, Cessna 182, Cessna 210, Cessna 205 and 206, Cessna 335 and 340, Cessna 401, Cessna 402, Cessna 188, Cessna 177, Cessna 207, Cessna 411, Cessna 414, Cessna 425, Cessna 441, Cessna T303, Cessna 650, and the popular Cessna 208 and 208B. In this edition of the Plane Splash (pun intended), we will look at today’s most discussed airliner: The Boeing Model 777 (“triple seven”). I’ll share about some Lockheed P-3 Orions that were launched for a possible resolution. And I’ll even share a pretty lousy theory that the media has NOT tapped into, and probably won’t. First off, there have been three previous crashes since its first flight in 1994, and this could be the fourth. Of course, it was a night flight, and poor vision, hijacking, terrorism, sabotage, foul play, and mental failure are all possible causes as well. Here are a few aircraft specs about the 777. Dimensions: Wingspan: 199 ft. 11 inches (60.93m); length: 209 ft. 1 in. (63.73m); height: 60 ft. 9 in (18.51m); weight: 515,000 lb. maximum take-off weight (233,604 kg). The Boeing 777 entered service with United Airlines on June 7, 1995, and the craft has proved valuable ever since. In fact, some airlines have begun to replace their 747s with 777s. 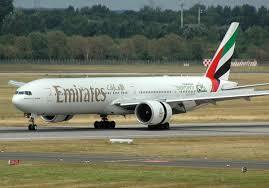 Emirates operates the largest 777 fleet, with 127 passenger and freighter aircraft as of June 2013. The airliner is rated as one of the safest aircraft based on its accident safety record and high number of flight hours. The Asiana Airlines Flight 214 accident in July 2013 was the first fatal crash of the aircraft in 18 years of commercial service. 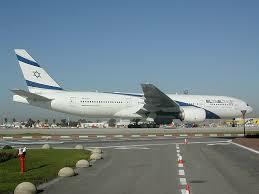 One of the El Al 777s. Here is the latest news on the Orions as of March 20, 2014. 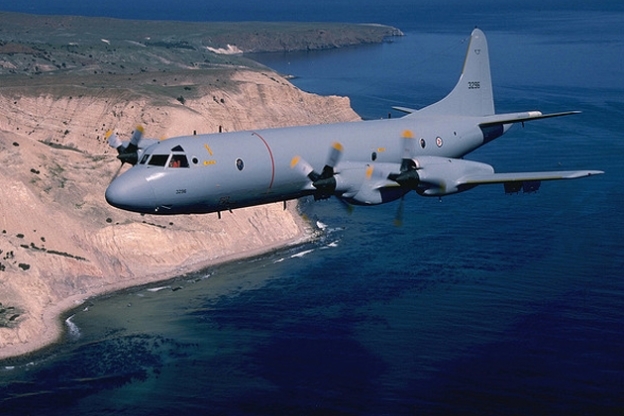 The P-3 Orion is the main bomber in many navies. PERTH, Australia (AP) – Search planes scoured a remote patch of the Indian Ocean but came back empty-handed Friday after a 10-hour mission looking for any sign of the missing Malaysia Airlines jet, another disappointing day in one of the world’s biggest aviation mysteries. Australian officials pledged to continue the search for two large objects spotted by a satellite earlier this week, which had raised hopes that the two-week hunt for the Boeing 777 that disappeared March 8 with 239 people on board was nearing a breakthrough. But Australia’s acting prime minister, Warren Truss, tamped down expectations. On Friday, five planes, including three P-3 Orions, made the trip. While search conditions had improved from Thursday, with much better visibility, the Australian Maritime Safety Authority said there were no sightings of plane debris. In this edition of the Plane View, we’ll slap a one-timer into the Trivia net… The rules are as follows, anyone who breaks them will lose. CHEATING IS STRICTLY PROHIBITED. Please send me your results via a “comment” box. 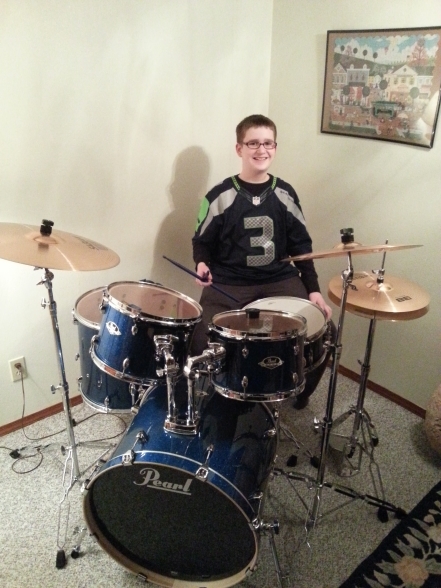 Me with a Russell Wilson jersey on at my new Pearl Export. Go Hawks! 1. Which of these is NOT in the World’s top 10 busiest airports? 2. Which USA airport had the most passengers visit in 2013? 3. Which Chinese airport had more business last year: Guangzhou or Shanghai? 4. Which of the following is not in the top 10 busiest airlines? 5. Which cargo giant shipped more tonnage through the skies in 2012; FedEx or UPS? 6. BONUS QUESTION: How many goals does Alex Ovechkin currently have this season? 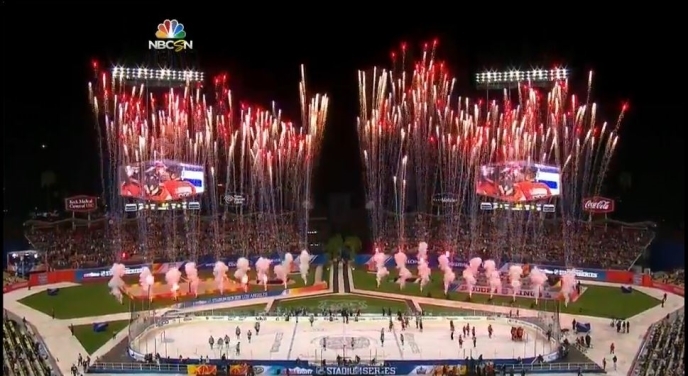 Los Angeles Kings vs. Anaheim Ducks. 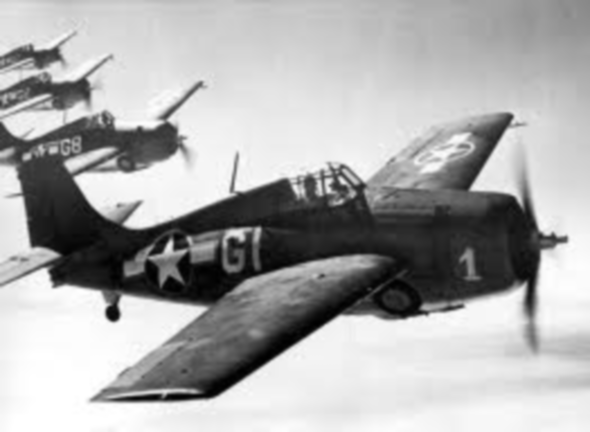 In this edition of the Plane Crash, we’ll look at the U.S. Navy’s WW2 top three: the Grumman F6f Hellcat, the Vought F-4U Corsair, and the Grumman F4f Wildcat. A painting of a Corsair at Boeing Field. Wildcat: Before the greatness of aircraft like the Grumman Hellcat and Vought Corsair, the Grumman F4f Wildcat was a fine aircraft. First built in 1939, this rugged mid-wing 318-mph six machine-gun aircraft held a critical point in the U.S. Navy until better aircraft were supplied. For instance, Lieutenant Butch O’Hare destroyed five Japanese bombers in six minutes. Later, despite being shot down in the Pacific, the Chicago-O’Hare airport was named for him. The Wildcat had a crew of 1, one 895kW (1200hp) Pratt & Whitney R-1830-66 radial engine, a maximum speed of 512km/h(318mph), a range of 1239km (770 miles), and a service ceiling of 10,638m (34,900ft). An excellent photo of a squadron of Wildcats during WW2. Dimensions are as follows: Wingspan: 11.58m (38ft.). Length: 8.76m (28ft. 9in.). Height: 3.61m (11ft. 10in.). Armament: Six 12.77mm (0.50in.) machine guns in wings and an external bomb load of 91kg (200lb.). Total loaded weight was 3607 kg (7952lb.). 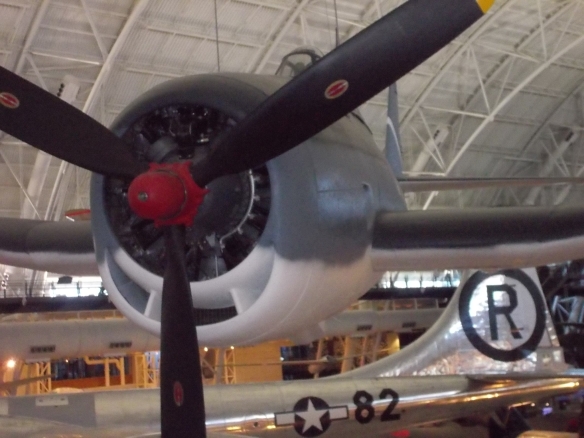 The Grumman F6f Hellcat at the Stephen F. Udvar-Hazy Center. Powerplant: one 1492 kW (2000hp) Pratt & Whitney R-2800-10W radial engine. Performance: Maximum speed: 612 km/h (380mph). Range: 1521km (945 miles). Service ceiling: 11,369m (37,300ft.). Dimensions: Wingspan: 13.05m (42ft10in.). Length: 10.24m(33ft.7in.). Height: 3.99m (13ft.1in.). Armament: six 12.7mm(0.50ibn.) machine guns in wings, or two 20mm(0.79in.) cannon and four 12.7mm(0.50in) machine guns, provision for two 453kg (1000lb) bombs or six 12.7cm (5in) RPs. 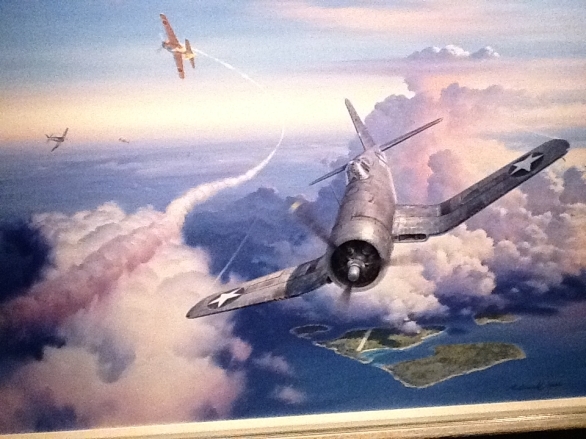 In all, the Grumman F6f ran up a 19 to 1 kill ratio. As the sun sets over the Pacific, these Corsairs return home. And now: the Chance Vought F4U Corsair. The speed, strength, and firepower of the Corsair enabled it to dominate Japanese opposition, shooting down 2140 against a loss of 189. 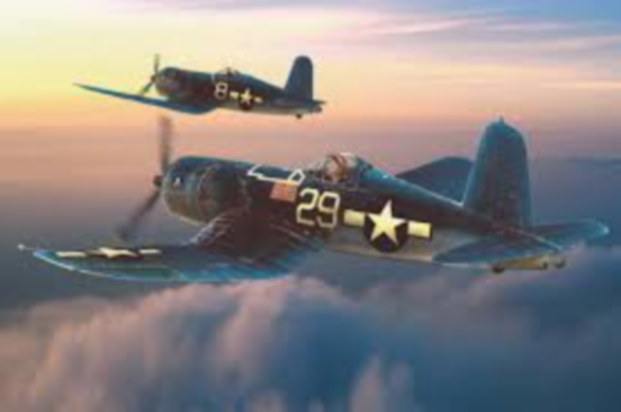 Its performance and dependability allowed great flight leaders like John Blackburn, John Smith, Marion Carl, Joe Foss, and Pappy Boyington to create legendary fighter squadrons. It was truly a superior aircraft. In this edition of the Plane Crash, we’ll do another Classic Aircraft Trivia game. The rules are as follows, anyone who breaks them will lose… or something like that. CHEATING IS STRICTLY PROHIBITED, as according to the Backyard Football Sudden Death Overtime Rules. Rule number one: First team to score wins. Rule number two: Uh, there is no rule number two. Rule number three: see rules #1 and #2. Please send me your results via a “comment” box. 1. What is Britain’s most beloved aircraft? 2. What airline is based out of Vancouver BC? 3. What was the original competitor to the de Havilland Beaver? 4. What is North America’s main short range civil aircraft company? 5. What is the greatest floatplane ever? Bonus question: What Canadian squadron is the Winnipeg Jets NHL team named for? Credits: backyard football sudden death overtime rules 1-2-3: Klem Daniels, as Chuck Downfield. Humongous Entertainment. Welcome to Isaiah's airplane blog. 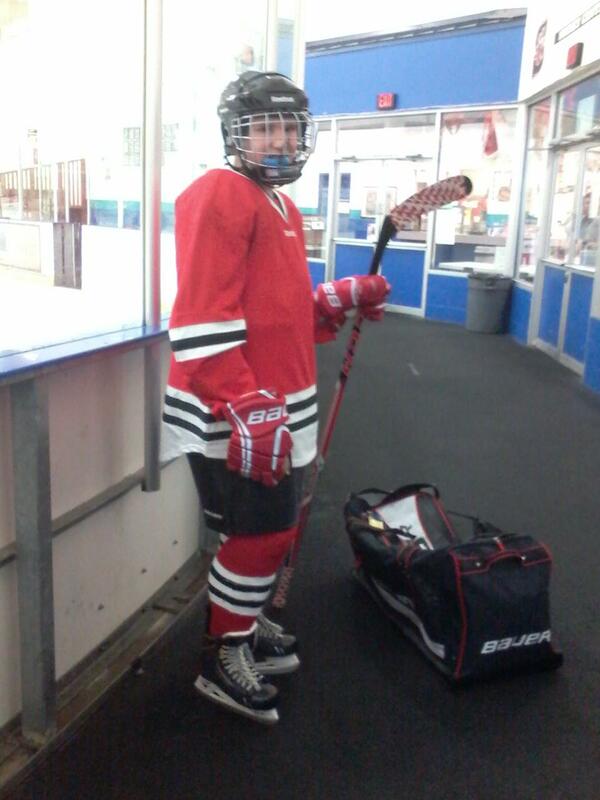 You will find many references to my favorite flight schools, and maybe even a little about my hockey games. 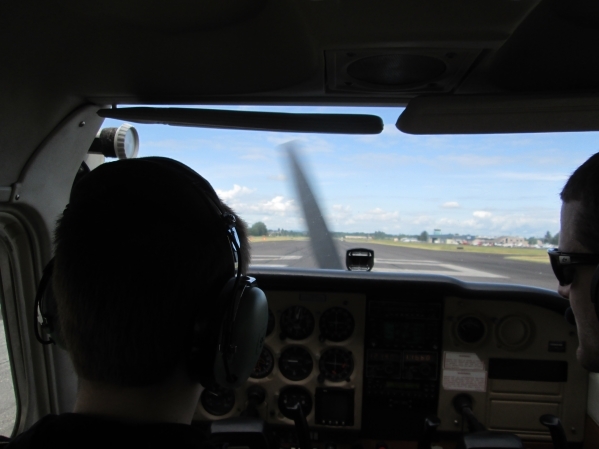 I am currently studying for my private pilot's license and hope to get an ATP rating. Have a great day!